iLMS is an integrated, next generation system that lets you deliver highly-effective learning programs anywhere, anytime, and on any device (tablets and smartphones included). Instancy's iLMS lets you plan, manage, deliver, and evaluate personalized and blended learning programs. Whether you're working with eLearning, classroom training, webinars, video tutorials, or informal learning, Instancy's system gives you the flexibility and capabilities you need. 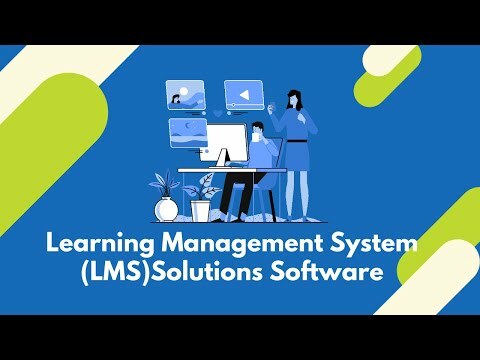 Instancy Learning Management System(LMS), Learning Record Store, LCMS, Blended Learning, Social Learning, and eLearning Software Solution System and Platform. A Unique All in One Learning Platform. Instancy provides Learning Platform Solutions, Learning Management Solutions for Business, Training Business Learning Platform Solutions, Higher Education Learning Platform Solutions. Instancy Provides eLearning Services, eLearning Performance Support Content Development, Mobile Learning App Development Services, eBook Design and Development, and Learning Simulation and Game Development Services. Design and configure your Instancy Learning Portal and Sub Portal as public or private. Use the comprehensive features of the iLMS to set up your learning environment exactly the way you want it. No coding required. Create and manage webinars and virtual classes within Instancy Learning Management System (iLMS). The Instancy Classroom Training and Event Management System helps you to manage classroom training programs as well as a calendar of events. Engage your learners using social tools such as discussion forums, online chats, blogs, opinion polls, and web conferencing. Social learning options also provide learners with the ability to create and share their knowledge. The Competency Management System integrates with the Instancy LMS and enables you to create a job role / competency / skill-based learning environment. Instancy provides a comprehensive learning platform for delivering and managing xAPI, SCORM, and AICC-compliant eLearning courses. The Instancy Learning Management System (iLMS) gives you many different options for managing learner logins, registrations, and learning assignments. Learn from your own data using the preconfigured reports and analytics. Instancy Learning Management System (LMS) Solutions Software, you can create content, quickly build web and mobile learning apps, manage your content, and turn your content into a revenue stream.